T he Mariposa Community Health Center was founded in 1980 in response to the tremendous unmet need in Santa Cruz County. Initially established as a clinical division of the Santa Cruz County Health Department, the vision was to establish a unique model of care that integrated primary medical care with traditional public health services. 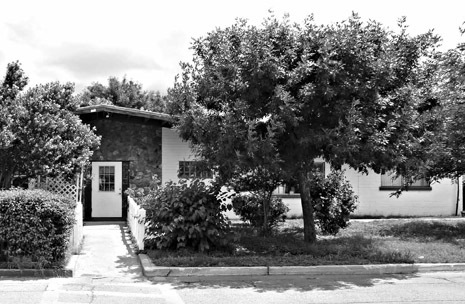 The Health Center was originally staffed by a pediatrician and nurse practitioner and was located in a small building near downtown Nogales. The Health Center was reorganized as a private, not for profit corporation in 1985. The new organization was based on a model public-private partnership, whereby the Health Center provided virtually all public health services by contract with the county health department. Lead by dedicated staff and a strong, supportive board of directors, we have grown along with the county and today, we have a main campus with state-of-the-art buildings and equipment in Nogales, plus satellite clinics in Patagonia, Rio Rico and Tubac. As a one-stop shopping model of care delivery, we provide comprehensive primary medical and dental care supported by lab, digital x-ray, and mammography, ultrasound, telemedicine, a full-service pharmacy, an integrated behavioral health program, plus an extensive health promotion/disease prevention department. Over 300 dedicated staff members support Mariposa and our mission of service in the community. 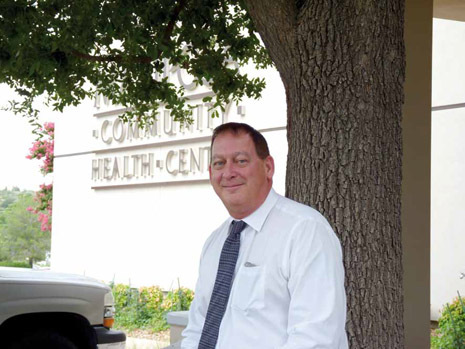 What has become an extraordinarily innovative and nationally recognized Community Health Center had its beginnings in the late 1970s. Dr. Tad Pfister, the health officer for the Santa Cruz County Health Department, recognized that there was a tremendous need in the County to make primary medical care available to everyone regardless of their economic circumstances. To that end, he set out to find the funding. Dr. Pfister learned of a federal health initiative that provided grant funding to start primary care clinics in medically under-served and rural areas. Dr. Pfister submitted the grant in 1979 to begin this new project as part of the County Health Department. When Dr. Pfister was notified that the funding was received in early 1980, he contacted James R. Welden and asked him to spearhead and implement an innovative new County medical program. 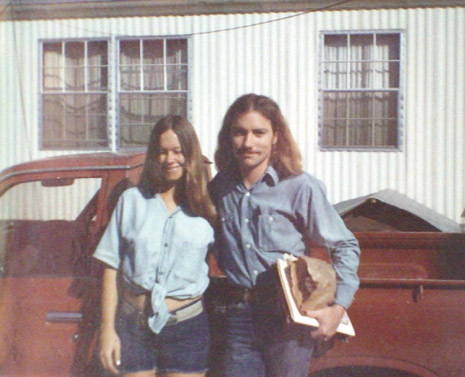 Originally from Texas, Welden and his wife, Claudia, had lived in Nogales in the mid-70s and were then working in Tucson. Welden assessed the potential of the project and its goals and chose to accept the opportunity. As the story will tell, this opportunity has become a legacy attributed to the founding Chief Executive Officer, James R. Welden. SANTA CRUZ FAMILY HEALTH SERVICES, INC. Initially named Santa Cruz Family Health Services, Inc., Mariposa begins in 1980 as a clinical division of the Santa Cruz County Health Department in an effort to integrate traditional public health services with primary care and provide access to affordable primary care to the low-income, uninsured residents of the County. Mariposa’s humble beginnings were in a dilapidated facility originally built by County inmates to house the County’s public health programs. In 1985, a new private, non-profit corporation called Santa Cruz Community Inc. forms, along with a formal, dedicated, community-based Board of Directors. After separating from the County as a private corporation, the public-private partnership between Mariposa and the County became an extremely innovative organizational model unlike any other in the country. By integrating funding, as well as programs, a more efficient and effective model of care is developed that embraced not only improving access to primary medical care, but a much broader concept of health care that included disease prevention strategies. Through this integration, Mariposa becomes the first community health center in the country to assume responsibility for providing county public health services. Recognizing the extraordinarily high rate of infant mortality in Santa Cruz County, which peaked in 1987 at 12.8 deaths per 1,000 births and averaged about 12 per 1,000 for that last half of that decade, Mariposa develops a multi-disciplinary team to combat this concerning rate. The team was comprised of physicians, an ob/gyn nurse practitioner, a nurse case manager and several community health workers. As access to early, high quality prenatal care improved in the community, the infant mortality rate was reduced to 3.0 – 3.5/1,000 by the mid-1990s. 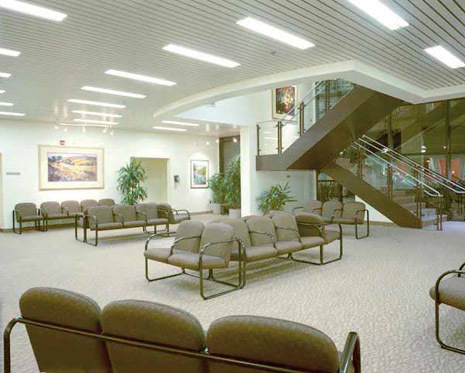 In 1989, with funding from a federal grant and a loan from Tucson Medical Center, the Health Center opens a beautiful, new modern building on Mastick Way, eventually called the Mariposa building. With the new building, came the name change to Mariposa Community Health Center, Inc. 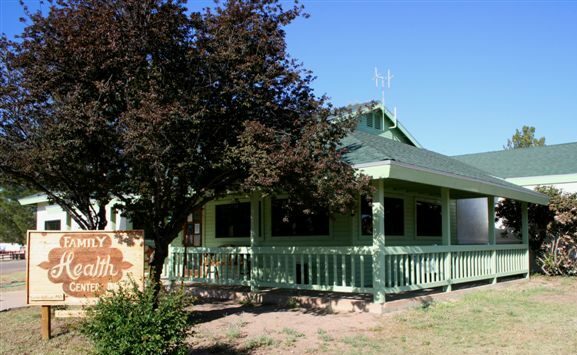 In 1990, Mariposa extends its mission of service to the northeastern portion of Santa Cruz County with the acquisition of the Family Health Center, the Center’s first satellite site located in Patagonia. Recognizing that many chronic illnesses can either be prevented or most effectively managed by positive lifestyle choices, Mariposa launches a community health worker program. Platicamos Salud, which evolved to Community Health Services, utilizes highly trained community health workers, also known as “promotores de salud”, to reach the under-served populations in Santa Cruz County to assist individuals in navigating the health care system. Platicamos Salud offers an array of outreach, education, practical instruction, personal assistance and referral services. The community health workers interact with clients and their families and teach them to assess and manage their personal risk factors and positively impact their own well-being. They also work in the community, helping individuals and families learn about nutrition, exercise and living healthy, productive lives. This department represents Mariposa’s public health focus to influence community health and wellness. After receiving a federal grant to begin a local food bank, Mariposa rents a warehouse on Hohokam Drive and dispenses 1.2 million pounds of food the first year of operation. 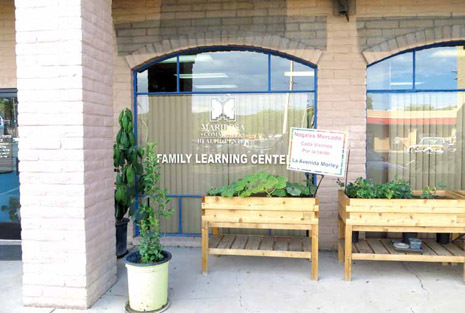 Following the first year, Mariposa turned the Food Bank over to the Community Food Bank of Tucson, which later formed a local non-profit group in Nogales that developed into Borderlands Food Bank. Desiring to contribute to the future of Santa Cruz County youth, Mariposa initiates the health care scholarship program to assist Santa Cruz County high school seniors achieve their educational goals in the health field. 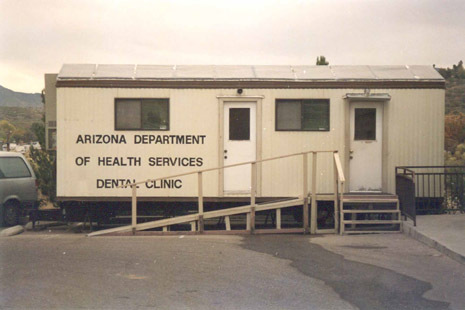 Recognizing the importance of dental health in maintaining overall health, Mariposa begins providing dental services in a tiny, 10’ x 30’ modular trailer on loan from the Arizona Department Health Services. The dental program was based on a creative model utilizing federal community health center funding, National Health Service Corps staffing and state resources. This model was later replicated in community health centers nationally. 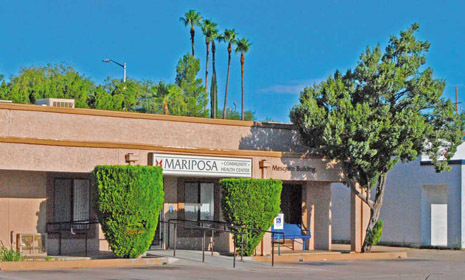 Mariposa dental would continue to grow and in 1998, require an additional modular facility in Nogales which included a reception desk and waiting room. Expanding the focus on women’s health, the Mariposa for Women clinic opens on the Nogales campus, providing the comfort of a smaller clinic that caters to women’s health. 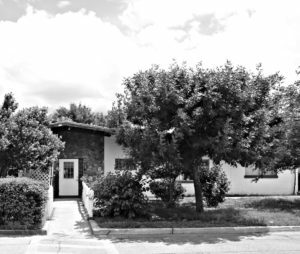 The clinic later became known as the Mesquite building, transitioning to a family medicine clinic once women’s health outgrew the space. Recognizing the importance of access to mammography services for women’s health, Mariposa becomes the first health facility to provide this critical service in Santa Cruz County. To ensure access to affordable prescription medications for our communities, Mariposa opens its own pharmacy, located at 1860 N. State Drive. Consistent with its mission, prescriptions are offered on a sliding fee scale to individuals lacking insurance coverage. As an added service to the community, the pharmacy initiates daily prescription delivery to the satellite sites. In addition to providing access to primary medical and dental care, the Health Center is also in the business of changing lives and futures of those most in need. In 2002, Mariposa becomes the only community health center in the nation to make orthodontic services available to low and moderate income patients through the sliding fee scale. 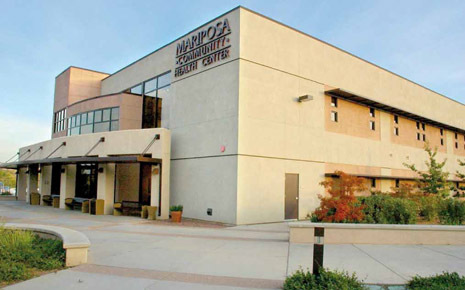 In 2002, Mariposa receives national recognition after being selected by the Department of Health and Human Services as one of only three Community Centers of Excellence in Women’s Health in the nation. The Summer Youth Institute (SYI) is established in collaboration with various community organizations. SYI continues as an annual, seven-week summer youth leadership program, providing selected high school students with enrichment opportunities in health education, exposure to various professions, and development of long-term goals and job skills. SYI graduates receive a Teen Health Facilitator Certification, certifying the students to conduct peer education in the community. To meet growing community need, Mariposa completes a major expansion opening a new, two-story building adjacent to the Mariposa building on the Nogales campus. The beautiful new Sierra building was designed to house pediatrics, obstetrics, dental services, Platicamos Salud, and the pharmacy. The Health Center also assumes responsibility for the remaining county public health programs in 2002, acquiring the tuberculosis and sexually transmitted disease programs. To support patients facing complex health conditions and difficult life events, Mariposa begins an innovative integrated mental health program incorporating mental health support with traditional medical care. In 2003, the U.S.- México Border Health Commission designates Mariposa as a “Border Model of Excellence”. The Border Model of Excellence initiative recognizes community-based health programs along the U.S.- México border that have made great strides in improving the health and well-being of communities along the border. Mariposa migrates from paper to electronic dental records to provide a powerful platform for improving patient care, customer service and practice productivity. Mariposa initiates the Santa Cruz Health Connection in collaboration with the Pima Community Access Program to provide qualifying uninsured residents of Santa Cruz County with access to a network of specialists and hospitals at deeply discounted rates. 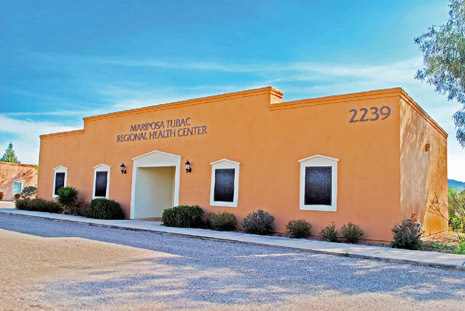 As the County grew to the north, Mariposa at Rio Rico opens its doors in September of 2006, providing family medicine services to residents of Rio Rico and surrounding communities. In addition to regular office visits, the site offers laboratory services and daily prescription deliveries from the pharmacy. 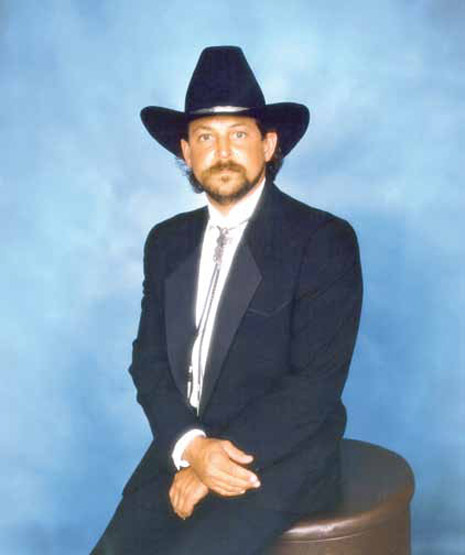 Mark Capin lost his hard fought battle with cancer on July 2, 2006. 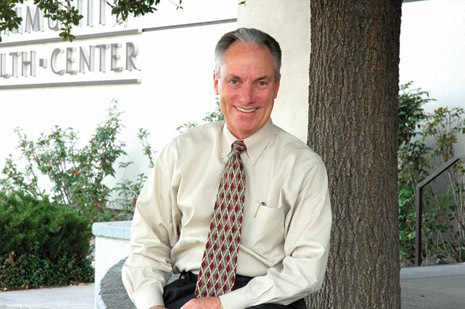 Prior to his passing, he graciously established the Mark Ross Capin Endowment at the Santa Cruz Community Foundation to support Mariposa’s important work in the community. Proceeds from the Capin Endowment are used to support diagnostic services, clinical equipment and disease prevention activities in Santa Cruz County. Mariposa partners with the Arizona Association of Community Health Centers to address domestic violence by adding a patient advocate position to provide crisis intervention, counseling, referral and follow-up for women and their families. Mariposa migrates from paper to electronic medical records to provide a powerful platform for improving patient care, customer service and practice productivity. In 2009, Mariposa at Rio Rico adds pediatric services to respond to growing demand. Services include both sick and well child exams, all childhood immunizations and management of difficult medical conditions that may require careful monitoring and follow-up. In partnership with the Mexican Consulate, Mariposa opens the Ventanilla de Salud (Window to Health) at the Mexican Consulate in Nogales. Mariposa’s community health workers staff the Ventanilla to facilitate access for individuals to quality services and provide health education about diabetes, hypertension, domestic violence, healthy eating and physical health. Mariposa becomes the first facility in the County to upgrade to digital x-ray, providing enhanced imaging, less radiation, higher quality images, and faster diagnosis. Mariposa’s Family Resource Center, opens as a new service for families of children 0-5 years of age. The Center later evolved into the Family Learning Center to serve families of children under age 10. The Center’s classes are designed to enhance parenting skills and also support parental success through free adult education and mentorship. 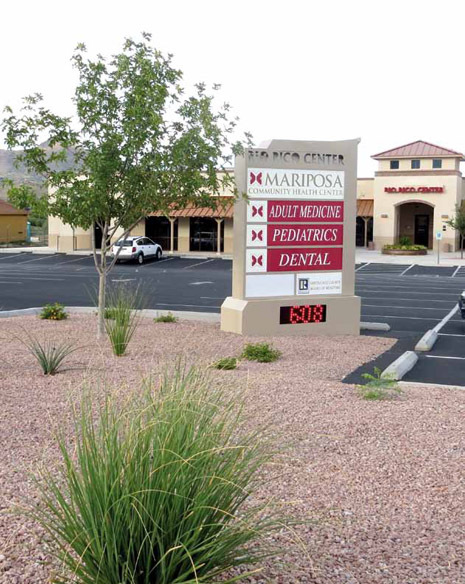 Mariposa opens the new dental facility at the Center’s Rio Rico site, providing a full range of general dental care including preventive, restorative, minor oral surgery, crowns, bridges, cosmetic procedures and orthodontics. The WIC program was housed in many locations after it was first taken over by the Health Center in 1980, but not at any of Mariposa’s clinical sites. With funding made possible by an Arizona Department of Health Services WIC Special Projects grant supplemented by Mariposa, a beautiful new WIC building opens on the Nogales campus to provide better integration with clinical programs, as well as added convenience for clients. Mariposa is the sole provider of WIC services in the County, with sites in Nogales, Rio Rico, Amado and Patagonia. 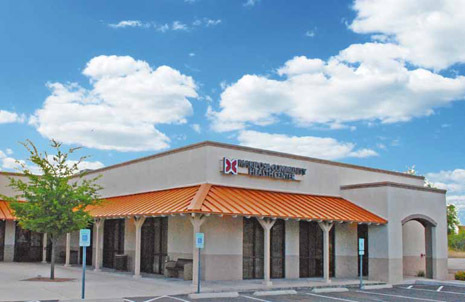 To ensure capacity for future growth in the Rio Rico area, Mariposa acquires the Rio Rico Center. Mariposa becomes the first in the county to upgrade to digital mammography, providing enhanced imaging, less radiation, higher quality images and faster diagnosis. As part of the USDA Cosechando Bienestar (Harvesting Wellbeing) local food initiative grant awarded to Mariposa, the weekly Nogales Mercado Farmer’s Market opens in partnership with Nogales Community Development. The Mercado, located at the corner of Morley Avenue and Court Street, provides a downtown location for residents to purchase locally-grown, healthy foods as well as create a socially vibrant environment where all can learn, share and enjoy the community. With the implementation of the Affordable Care Act, more individuals qualified for Medicaid (AHCCCS) or insurance coverage under the new Health Insurance Marketplace. In 2012, Mariposa becomes the first organization in Santa Cruz County responsible for comprehensive community outreach, education and enrollment in these programs. 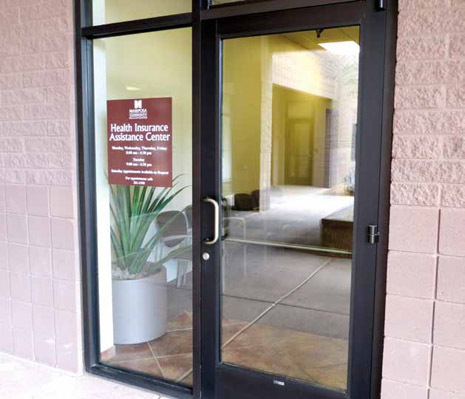 To support increased enrollment, Mariposa opens the Health Insurance Assistance Center on Mastick Way. Community Health Services opens doors to a newly renovated suite in the Rio Rico building to facilitate direct involvement in coordinated patient care. The Rio Rico WIC office also moved into the new Community Health Services suite, providing clients with enhanced access to the Department’s programs and services. Mariposa’s Community Health Services Department (Platicamos Salud) is nationally recognized as the 2014 Outstanding Rural Health Program by the National Rural Health Association. This prestigious award is in recognition of the Department’s comprehensive community health worker model to promote health and wellness, not only in our community, but regionally and nationally as well. The Department was also recognized for its innovative, cross-sector community partnerships to maximize the effectiveness of available community resources. 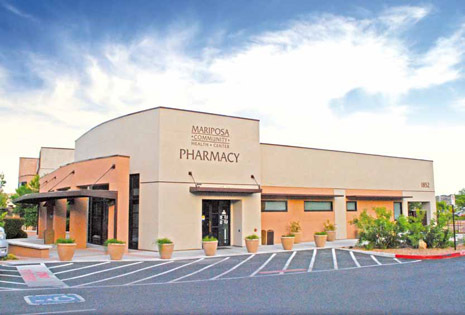 Once again, in response to the growing needs of the communities we serve, Mariposa opens a larger, state-of-the-art pharmacy on the Nogales campus. Ed Sicurello, Mariposa’s Chief of Operations & Finance, is named the Chief Executive Officer by the Board of Directors, effective July 18, 2015. With the growth of the organization, Mariposa relocated business operations to a newly renovated suites next to the Health Insurance Assistance Center on Mastick Way. 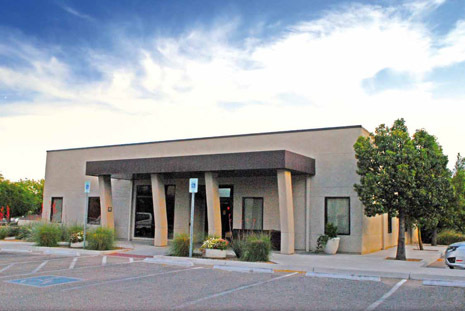 In response to the closure of Tubac Regional Health Center, Mariposa accepts a request from the Tubac Health Care Foundation to restore health care services to residents of Tubac and the surrounding communities. In late February, the Mariposa Tubac Regional Health Center opens its doors in the facility owned by the Tubac Health Care Foundation, located on the frontage road in Tubac. 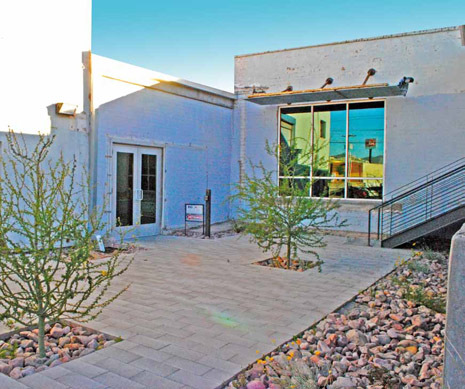 In partnership with Nogales Community Development (NCD), the Family Learning Center relocates to the old Foxworth building, renovated as part of NCD’s downtown revitalization efforts.